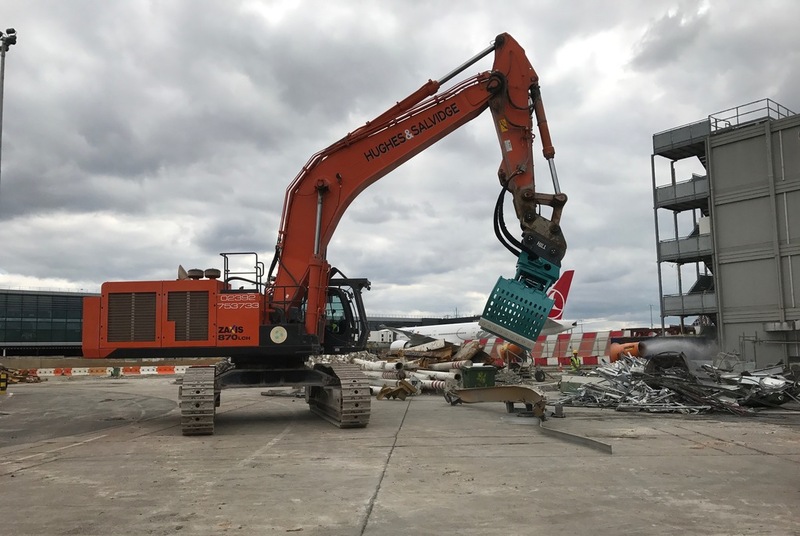 The biggest Excavator machine in Hughes and Salvidge’s fleet – the Hitachi ZX870LCH-5B – is currently being deployed on our Europier Project at Heathrow Airport. Launched in 2013 by Hitachi, we purchased our 870 machine in 2015 and it is the jewel in the crown of our extensive fleet of machinery and plant. 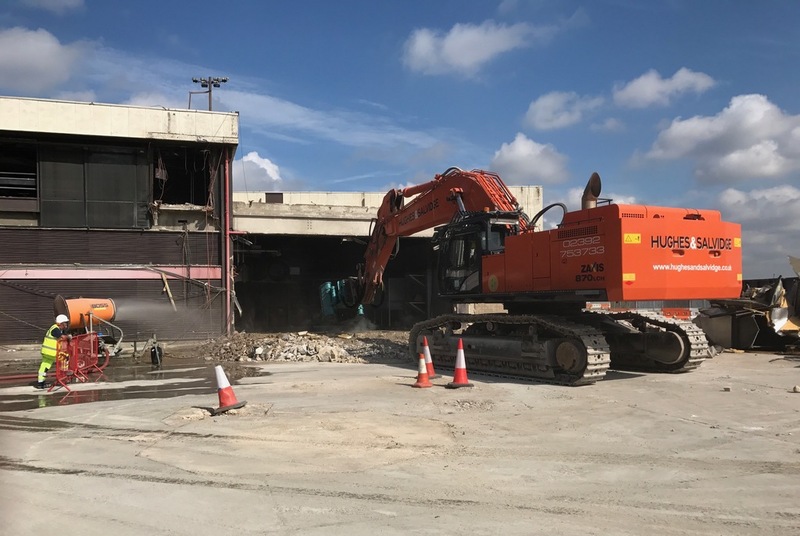 With an operating weight of 84-86 tonnes, we have recently utilised it on Heathrow’s Europier Demolition Project and it is expected to remain at the airport until the end of August. The 870 has a modern hydraulic system that allows for faster operation at the same time as lowering fuel consumption, compared to previous specifications. It also has a powerful engine to increase productivity on projects at the same time as providing greater fuel efficiency and reducing CO2 emissions through its modernised filtration system. The reinforced undercarriage, strengthened arm and boom and laminated glass windscreen also provide excellent safety and comfort for our operators.